JPMorgan is developing an automated advice platform it says will be ready this year, Bloomberg writes. The company is developing several “exciting new products,” and among them are “online vehicles for both individual retirement and non-retirement accounts, providing easy-to-use (and inexpensive) automated advice,” JPMorgan CEO Jamie Dimon wrote in his annual letter to the company’s shareholders, according to Bloomberg. In addition to digital banking and electronic trading, JPMorgan will be rolling out the automated advice service later this year, Dimon says in the letter. While he doesn’t specify what the firm is investing in its robo, Dimon said last year that it’s steering around $600 million to “emerging fintech solutions,” Bloomberg writes. Dimon said last summer that JPMorgan may end up offering its robo platform to valued clients free of charge, much like customers of the $99 Amazon Prime service get free movie streaming and free delivery. And in September, the brokerage said it plans to start trials on a robo-advisor this year, partnering with InvesCloud. 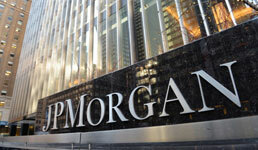 The service would be aimed at customers across the board, including both the mass affluent and the ultra-high net worth clients at JPMorgan Private Bank, a person with knowledge of the company’s plans told the Financial Times. How JPMorgan’s robo will work — whether it will be purely digital access or incorporate some access to live financial advisors — remains unclear. Just last month, Mary Erdoes, the company’s head of asset management and wealth management, said that digital advice alone isn’t enough to guide clients through turbulent markets. Other large brokerages have been rolling out robos as well, meanwhile, and some of them are building in access to their human financial advisors. Last month, Wells Fargo released details on the robo platform it’s testing on its own brokers and executives this year before unleashing it on investors. The pricing on the platform is slightly higher than Wells Fargo’s rivals, which an executive says is due in part to the access robo-advice clients will have to the company’s financial advisors by phone. Other large firms shortly rolling out a robo platform of their own include Goldman Sachs, T. Rowe Price and Morgan Stanley. Merrill Lynch launched its robo platform in February. Is the New Passive Indexing Craze the New Tulip Bulb Mania?